I know the cupcake frenzy of the past few years has died down a bit, but they are still one of my favorite shenanigans. 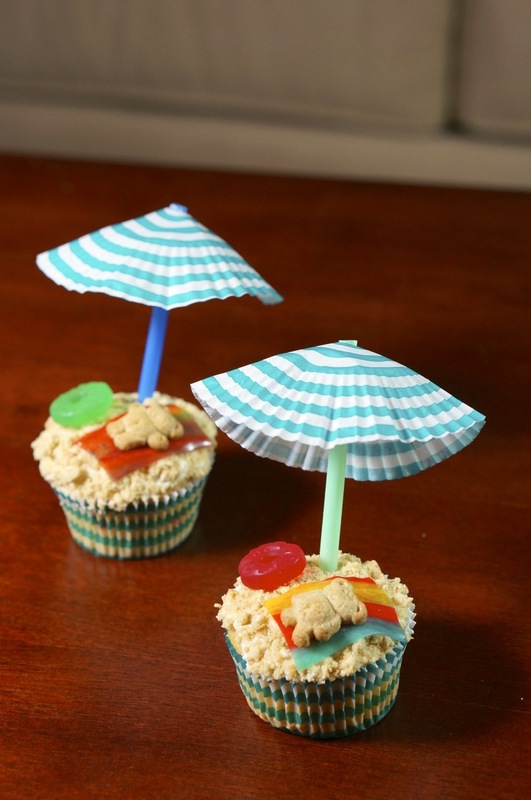 This summer I came across many cute summer themed cupcakes on Pinterest, but none of them were as adorable as these Teddy Graham sunbathing cupcakes. I knew these would be perfect for summer themed parties and little kids. 1) Bake your cupcakes, let cool then cover them with a layer of icing. 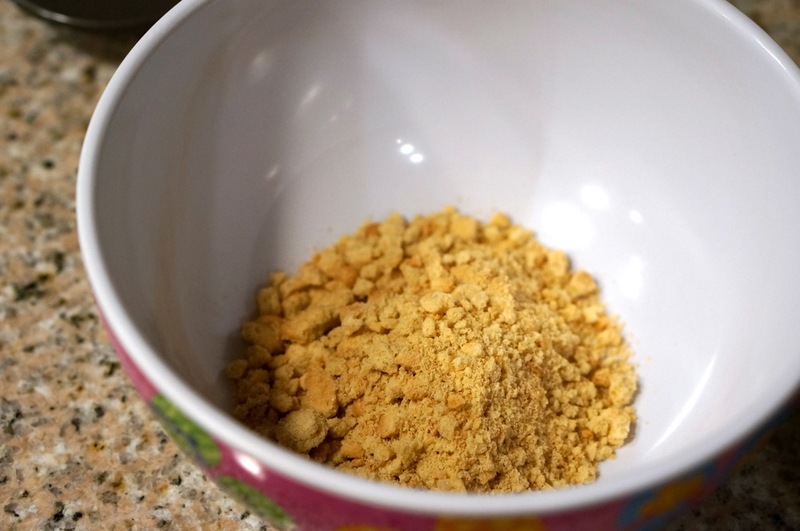 3) Dip your iced cupcake into the bowl so that a layer of sand sticks to the top. 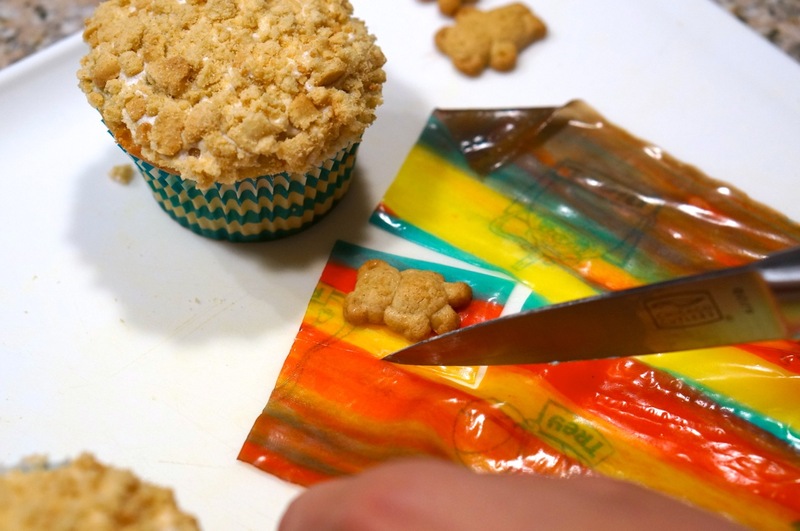 4) Unroll your fruit roll up and cut a square around your teddy graham (this will be his towel). 5) Get creative! 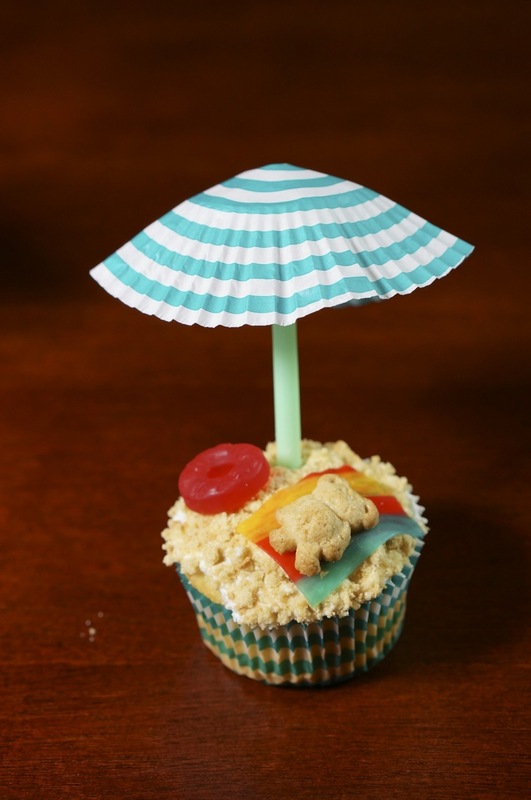 I put the teddy on the side and then used my straws and cupcake liners to make a little umbrella, then added a finishing touch of a gummy life saver. 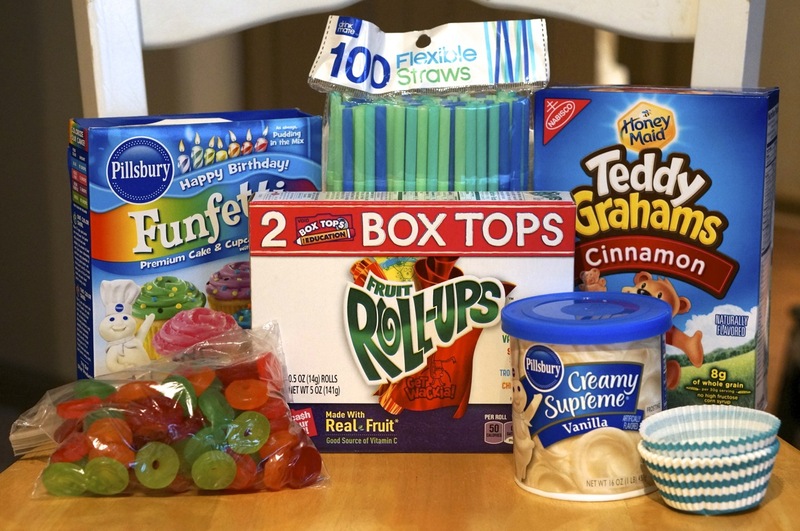 You can also put your teddy grahams inside the life savers and dye some of your icing blue to create a little teddy graham beach! Although summer is coming to a close there is coming to a close you can keep on celebrating with these adorable little guys. Shenanigans revoked! These are easy to make and most certainly adorable. 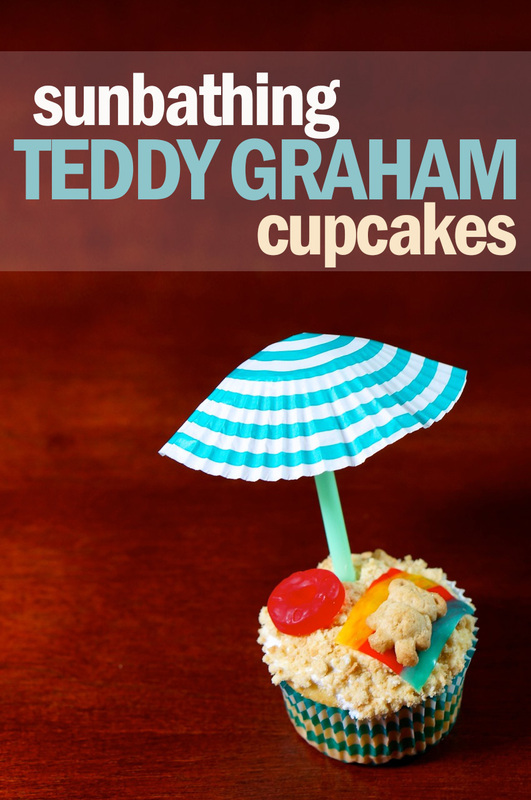 Be sure to share your Summer and teddy graham cupcake ideas on the shenanigans facebook page! Haha these cupcakes are just adorable, need to make such for my next birthday! Thanks 🙂 If you try them out be sure to post them on our Facebook page so we see them!